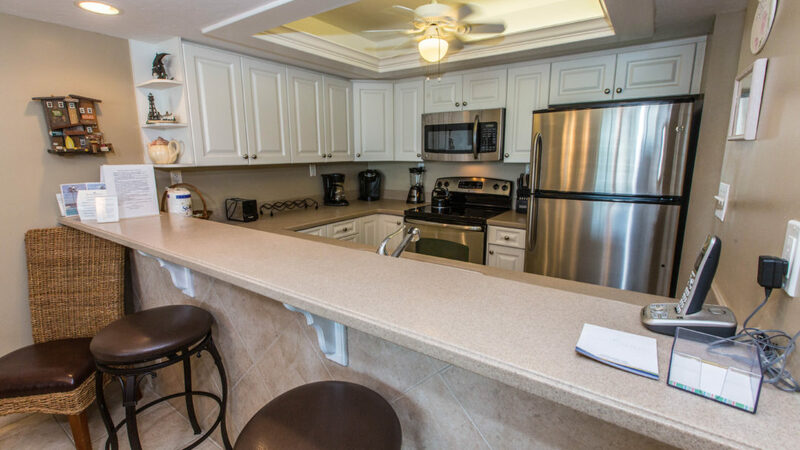 B306 kitchen is newly remodeled with Corian countertops. This kitchen is more fully equipped than you find in most rentals. We provide toaster, blender, coffee maker, coffee bean grinder, electric juicer, crock pot as well as full sets of dinnerware, silverware, utencils, pots/pans.